While DevOps has become popular within application development, Data-Centric projects are still lagging in terms of actual implementations primarily due to a lack of QA automation tools. 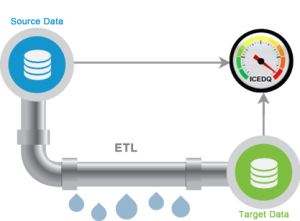 iCEDQ enables organizations to implement a DevOps pipeline. The core of DevOps is implementing Continues Development and Deployment. The key prerequisite of implementing DevOps is automation of Code Repository, QA, Build Process and Deployment. iCEDQ has developed a Jenkins Plugin. 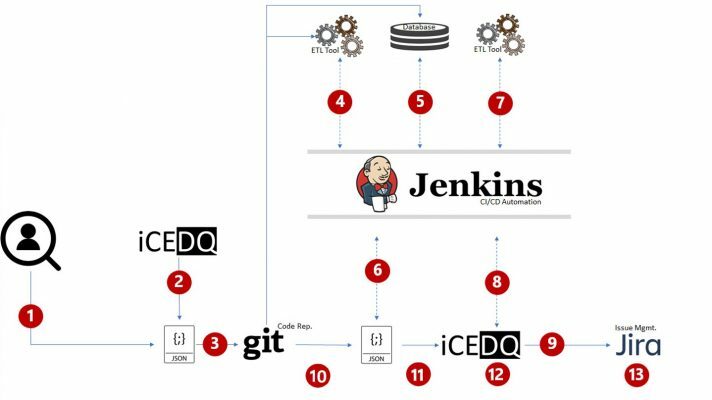 Jenkins or similar products orchestrate the complete activities of extracting code, deploying code (ETL, DDL) and executing iCEDQ rules to verify the implementation. 13. Report results back in Issue management software like Jira. Automate Data Testing and Business Intelligence Reports with iCEDQ.